And if there was ever a female narrator on par with him, in terms of sheer sensuality, it is certainly Emilia Fox. (Davina Porter is similarly talented in this regard). Now, if only this were my bag. Most of these stories were too visceral for my taste. The writing is excellent, but for me, a bit too disturbing. Except for the Puss in Boots story and the Beauty and the Beast story. Those were my speed; the former being laugh out loud funny and the latter being quite chaste and beautifully told. 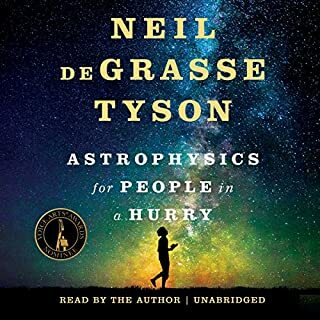 This subject matter is well outside my wheel house, but I'd heard that deGrasse Tyson had a knack for making complex subjects accessible. I won't pretend I could confidently hold a conversation on these topics at this point, but he is enjoyable to listen to. The final chapter really drives home our relative insignificance and blithe disregard of our cosmic home and ALL of its living inhabitants. For me, this was the best part and has forever endeared the author to me for his insight and humanity. 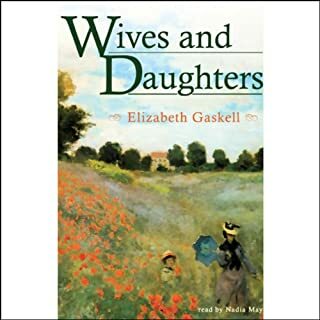 Set in English society before the 1832 Reform Bill, Wives and Daughters centers on the story of youthful Molly Gibson, brought up from childhood by her father. When he remarries, a new stepsister enters Molly's quiet life, the loveable, but worldly and troubling, Cynthia. The narrative traces the development of the two girls into womanhood within the gossiping and watchful society of Hollingford. It's not about the ending! This apparently unassuming tale of domestic life in a small village had me riveted. I cried, I laughed, I felt the betrayal, the indignation, the exultance, the quiet happiness. Gaskell's rendering of characters, place, and ethos is complex yet seemingly effortless. Nadia May is superb and one of my all time favorite narrators. 5 stars is no justice. Infinite stars forever. Alex Jennings is superlative. The story is expertly acted, not narrated. I couldn't have gotten more out of this had I read it for myself. Worth all the scores of hours and then some. Professor Voth really loves literature of all descriptions. He's no snob for the classics. 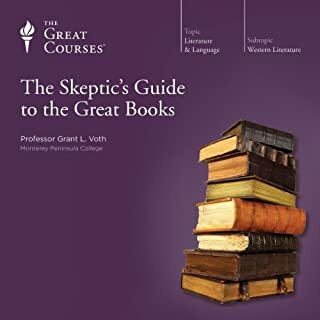 I have added several of the books mentioned (I should say analyzed in depth) here to my reading list; books I would never have normally sought out. For the books he included that I've already read, his critical insights have deepened my understanding of the works. I'm so grateful to have listened to this course! Young Samuel Johnson and his dachshund, Boswell, are trying to show initiative by trick-or-treating a full three days before Halloween which is how they come to witness strange goings-on at 666 Crowley Road. 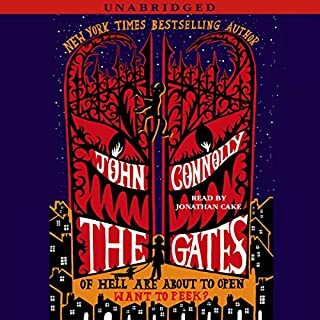 The Abernathys don't mean any harm by their flirtation with the underworld, but when they unknowingly call forth Satan himself, they create a gap in the universe. He tells the story with such campfire enthusiasm. I can't think why they didn't secure him for the two sequels. Such a pity. 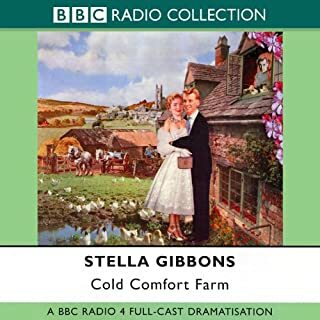 "There is NO BUTTER in Hell......."
Would you consider the audio edition of Cold Comfort Farm (Dramatised) to be better than the print version? This is a great book for performing and having it dramatised was just delicious. My only complaint is that the audio is mastered in a way that some bits are very hard to hear. The fluctuating audio had me adjusting the volume frequently. 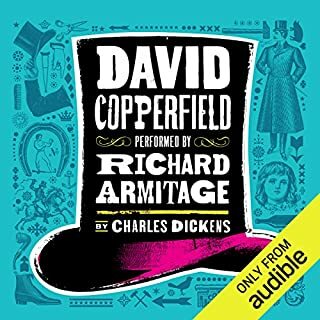 What was one of the most memorable moments of Cold Comfort Farm (Dramatised)? Mr. Mybug's speeches are astonishing. The Quivering Brethren scene is absolutely classic. The BBC full cast allowed everyone to really embrace their roles. It would have been without the audio issues. The 1995 movie is highly recommended. Incredible cast and follows the novel quite well. 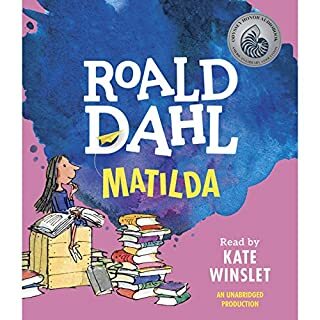 Would you consider the audio edition of Matilda to be better than the print version? Yes. This story begs to be performed. It's a great read, too, but just superb in the hands (mouth) of Kate Winslet. And you get to hear her let out a gigantic belch, to boot! She embodies the Trunchbull. She perfectly captures the odious Wormwoods. She charmingly depicts Miss Honey. She gives Matilda the sweetest nasally little voice. In short, performance perfection. Which character – as performed by Kate Winslet – was your favorite? I think her name was Agnes - the girl with the boil on her nose. A bit part but a memorable voice. More Kate! More Kate! More Kate! Superlatives are inadequate to hail Richard Armitage's performance of this heart-rending & humorous, beautiful story. 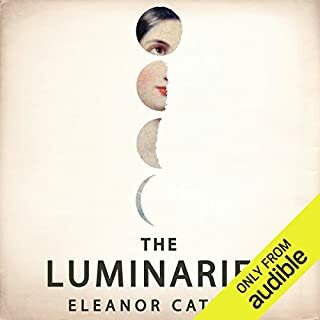 Would you consider the audio edition of The Luminaries to be better than the print version? Yes! I read the book when it came out but felt that I couldn't adequately untangle the complex narrative and that I missed a lot. Mark Meadows is absolutely, astonishingly capable of juggling the accents and intonations of dozens of characters, a dozen or so of those being main players. He can do Irish, Scottish, English, Swedish, Chinese, French, men, women, high class, lower class, and more. And none of the characters share HIS voice, the voice of the narrator! Mind blown. He has enriched my understanding of this wonderful novel a thousand fold. There are so many characters, and all are incredibly detailed. My favorite sympathetic characters are the Maori, Te Rau Tauwhare, the owner of the Gridiron hotel, Edgar Clinch, and the newspaperman, Benjamin Lowenthal. I also really like the characters of Aubert Gascoigne and Walter Moody. Have you listened to any of Mark Meadows’s other performances before? How does this one compare? No, but what I wouldn't give for him to re-do Cloud Atlas by David Mitchell! The current version is incredibly disappointing. I couldn't even get through it. The multiple, painfully poor narrators of Cloud Atlas could all be masterfully replaced by Mr. Meadows. If Mark Meadows re-did that novel I would pay ANY price to hear it. Who was the most memorable character of The Luminaries and why? Impossible. There is no solid MAIN character. This is an ensemble effort. 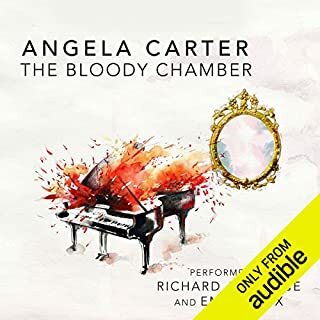 The best part of this audiobook is hands-down the narrator. 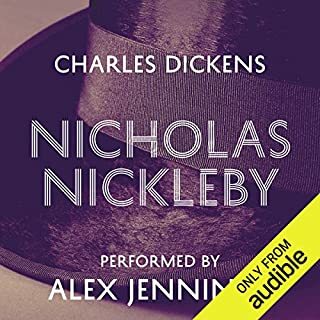 If you've read this novel and were left confused or unsure what to think, I highly recommend this audible version. Due to the complexity, I recommend glancing at the Wiki page or reading the first chapter to get a hold of the cast of characters so that you are better able to follow the story.